If you ever felt that playing Angry birds on your mobile was not enough, then you would love this. 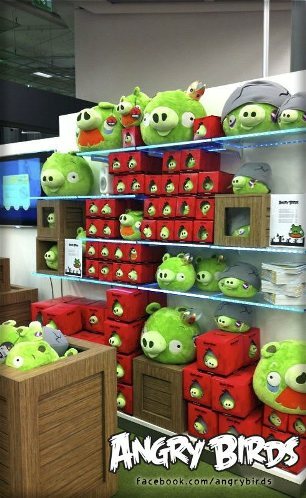 Rovio, the developers of the one of the most played multi-platform game Angry Birds has opened an Angry Birds centric store in Helsinki, Finland which is the birth place of the game and also where Rovio’s headquarter is situated, so it had to be there. Based on the response that this store receives, Rovio will open more stores worldwide. 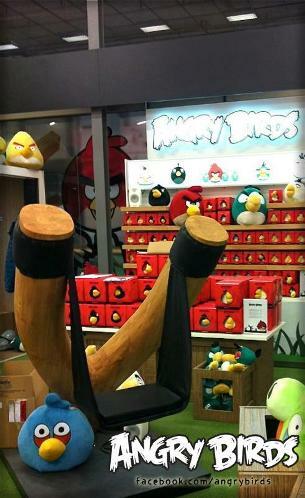 The only Angry Birds store has a gigantic slingshot which is a nice seat to sit and get your picture taken on. 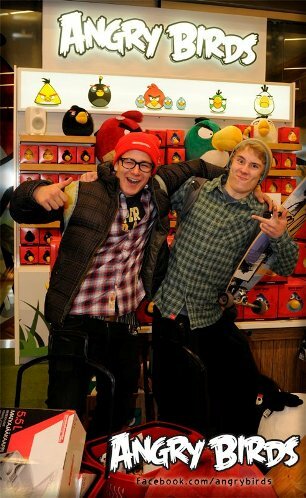 The Angry Birds store is filled with Angry Birds gigantic stuffed animal toys, books, even skateboards. Yes, skateboards! Are you planning to get one? Which bird is your favorite or do you like pigs?